The core of the skyscraper which will take the title from Eureka as Melbourne's tallest building is approaching 50% of its eventual height. 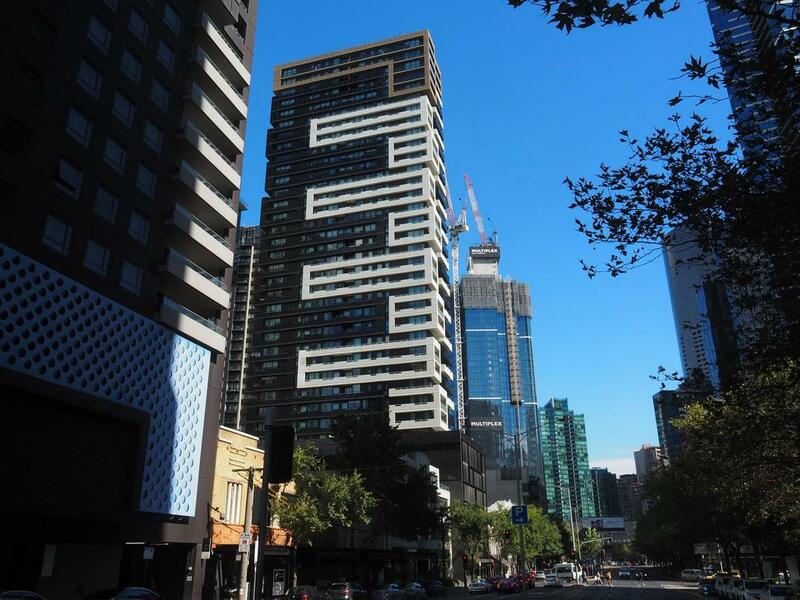 Images posted on the Urban Melbourne Projects & Construction forum by stalwart member redden show that Multiplex are now working on the 50th level within the core box. Australia 108 will eventually have 99 floors, rising to 317 metres above the intersection of City Road and Southbank Boulevard. With well over 1000 apartments, Australia 108 will eclipse Eureka Tower, completed last decade, by 20 metres in the height stakes. The only other tower taller than Australia 108 which has received planning approval is One Queensbridge Street which the current Planning Minister Richard Wynne signed off on in February 2017. Australia 108 was approved by then-Planning Minister and now Leader of the Opposition, Matthew Guy, in 2014.